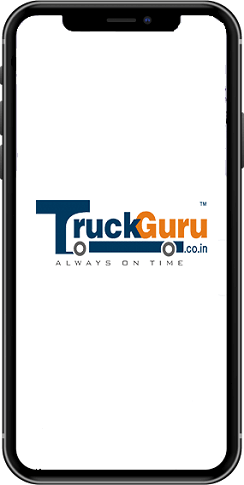 TruckGuru- An Innovation In Logistics And Transport Industry In Mundra! TruckGuru is recognized as the dedicated, professional and qualitative service provider in the transport industry. We, as the leading transporter in Mundra, continually strive to expand our services and operations in all facets of transport. Equipped with years of experience in the industry and proficient team, TruckGuru, the best transport company in Mudra aims to achieve their objective of rendering innovative, efficient and economical services to all their consumers at all times. With our fleet of vessels and trucks, we transport bulk cargo from Mundra Port, which is also Known as Adani Port, one of the largest commercial port In Gujarat to all major ports in the South, East and West coast of the Indian subcontinent. We guarantee the safety, reduced cost and on-time delivery of your supply chain. If you are looking for experienced and professional logistics services in Mundra, TruckGuru could be your smart choice. We are committed to bringing the customized and client-driven logistics solutions to benefit our clients. From assuring safer movement of goods with small parcels to bulk cargos, we deliver the shipment to destination without any delay. We develop comprehensive service plans tailored to meet specific requirements of our customers at Baroi Road and Adani Port Road in Mundra. We adopt the advanced approach and proven cargo handling tool to avoid cargo overflow, leakage or wastage of space. By using the best-quality packaging material, TruckGuru, the renowned trucking company in Mundra, ensure that maximum cargo can be stuffed in the container without any damage to goods. We are backed by an expert and proficient team who ensure the 100% safety of your belongings. 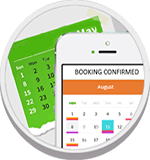 Our online truck booking app ensures the fast and safe booking of the vehicle of your choice. We value our clients and thus, we are available 24X7 for them to answer their calls.